Citation: Cantani A. Early Prophylaxis of Adverse Food Reactions in Infants and Children by Dietary Manipulations Food Allergy in Children and Early Prevention. Skin Dis Skin Care. 2015, 1:1. Copyright: © 2016 Cantani A. This is an open-access article distributed under the terms of the Creative Commons Attribution License, which permits unrestricted use, distribution, and reproduction in any medium, provided the original author and source are credited. Since the turn of this century it is known that every food contains potential allergens, and can therefore trigger allergic reactions in sensitized children. The treatment of food allergy (FA) is based on the elimination of the triggering food. When this food is not a necessary nutrient, it can be easily eliminated from the diet because the child will not be exposed to nutritional derangements. Thus, treatment of FA is necessary only in children younger than two years affected by cow's milk (CM) allergy (CMA). In the first years of life CM represents the primary source of nutrients with high biologic value. All covering the recommended intake for age. In addition, this high nutritional value is associated with a low cost. However, children with CMA older than two years can avoid CM without nutritional loss if the nutrients necessary to cover daily requirements are provided by other foods such as meat, fish, vegetables and fruit. In the first years of life, dietary treatment of CMA is necessary for evident reasons. Nevertheless the choice of an adequate CM substitute among several hypoallergenic formulas is mandatory for infants with CMA. In the last few years the number of these formulas has progressively increased. Since all information on the nutritional adequacy and therapeutic efficacy of such formulas are usually supplied by the industry, pediatricians are occasionally confronted with data not always scientifically controlled. In addition, such data focus on hypothetical negative effects of competing formulas instead of delivering pertinent information on the therapeutic adequacy of the advertised formula. As a result pediatricians are now bombarded with a large variety of information on new special formulas named "hypoallergenic" and are confronted with a difficult choice among all these formulas. In this article we analyze the nutritional adequacy, the allergenicity and the efficacy of the special formulas commercially available for feeding babies with CMA. These formula include soyprotein formulas (SPF), CM protein hydrolysate formulas (HFs), home-made, meatbased formulas (Rezza's diet), also giving advices against bovine meat, goat milk, and transgenic foods, concluding with some guidelines for CMA prevention in babies. A great concern has arisen on the possible diffusion of genetically modified foods in children preventative formulas. Human milk has been for centuries the only way of feeding human neonates. Since the beginning of this century CM formulas became a common BM(breast milk) substitute when mother's milk was not available . However, CM has been created by Mother Nature in order to provide all the nutrients necessary to permit the growth of calves, mammals very different from human newborn babies. Calves show rapid growth during the first months of life since the protein composition of CM is totally different from that of BM. Over this century and especially in the last decade several formulas have been developed in order to reduce the antigen load and therefore the risk of sensitization (Table 1). Table 1: Hypoallergenic formulas for the alimentation of children with CMA. The characteristics of an ideal formula for feeding children with CMA are known. The ideal CM substitute should satisfy the following criteria: it should be hypoallergenic, it should have an adequate nutritional value appropriate to the infant's age, it should be easily available, inexpensive, and palatable in order to obtain a good compliance. Cross reactivity is the possible interaction between the binding site of an antibody and the same allergenic epitope present in different molecules. All molecules may trigger allergic reactions in patients sensitized to one of these molecules, even without previous exposure. Cross reactivity between CM proteins and those of special formulas or their peptides (if HFs are taken into account) is a crucial debate regarding all special formulas and surely the most important. Therefore when there is a problem regarding cross reactivity such formula should not be employed owing to the risk of triggering anaphylactic reactions that may be even very severe [2-8]. As we have first demonstrated , whey protein CM-based HFs can trigger allergic reactions in children with CMA [3-13]. To understand this apparent paradox, it is necessary to review some basal concepts on protein structure. Scolastically, protein composition can be compared with a chemical alphabet containing 20 different letters, each corresponding to an amino acid. Different association of such chemical letters, conforming to their setting, form different words (peptide fragments), and more words construct phrases (proteins), so amino acids, according to their sequence, form peptides and more peptides form proteins . An epitope is the fundamental part of protein molecules for immune reactions either because the epitope is recognized by T cells (see allergenicity), or because epitopes bind to antibody Fab portions. Epitopes are very small part of a molecule, hence a few critical amino acids are able to form an epitope. Most epitopes are conformational and result from the steric folding of the aminoacid- peptide chains. Protein heat denaturation usually alters the folding with disulfide bond breakage and loss of secondary structure, consequently making it exceedingly challenging to identify conformational epitopes. Sequential epitopes are situated in unfolded molecules, often remain untouched during denaturation and are more easily identified and synthesized [14-16]. In order to understand the problems encountered to eliminate all epitopes of CM proteins [15-19], several studies reported that fully breast-fed babies may experience a variety of allergic symptoms related to CM proteins transferred from mothers to infants via BM . Such minute amounts of CM proteins may be sensitizing in predisposed infants, although they first undergo a digestion by the mother's gastrointestinal enzymes; then after several degradative and assimilating steps the peptides go into the blood and are transferred into the breast; and eventually they are again digested by the infant. After this intricate process the peptides are still immunogenic despite the presence in BM of secretory IgA (sIgA) which limits the CM proteins immunogenicity . Epitopes are therefore the most important part of protein molecules, not only for crossreactivity, but also for allergenicity. The allergenicity of a given food is not dependent on the amount of protein it contains, but on the number of immunoreactive epitopes present in that protein . Furthermore it is impossible to destroy all epitopes present on CM proteins with techniques currently available for HF preparation. The task is particularly demanding since minimal residual molecular structure is required for antigen recognition by the immune system of previously sensitized children . The HF residual peptides recognizing the Fab fragment of IgE antibodies specific for CM allergens, are present in blood and tissues of babies with CMA, due to immunological crossreactivities, and able to trigger severe allergic reactions [4-13,15-17]. Obviously the degree of enzyme hydrolysis used to process CM proteins, notably influences the amplitude of residual immunoreactive peptides. Extensive hydrolysis yields small and large peptides. Partial hydrolysis, on the other hand, yields large segments of peptides. Therefore the latter should never be employed for the treatment of CMA [1,2,4,5]. Casein HFs, extensively hydrolyzed, have been judged more reliable , even if in some cases can trigger reactions [7,13,20-22]. However, trace amounts of casein have been detected in commercial whey HFs and vice versa residual casein IgE epitopes in all the "hypoallergenic" (HA) formulas Alfa-Rè, LHA and Pregomin were found [9,19]. In addition, it has been shown that products of digestion of ßLG are present in a number of HFs . Haddad et al. demonstrated that CMallergic children with or without IgE antibodies to undigested ßLG all had IgE antibodies to the peptic or peptic and tryptic digests of ßLG. Allergenicity is the ability of a given molecule to elicit an allergic reaction in sensitized individuals. A special formula should be not allergenic, in other words should not be able to stimulate the immune system to produce IgE antibodies. To understand why we cannot rely on protein hydrolysis to produce formulas of low allergenicity, it is necessary to review some basal data on antigen recognition at the molecular level . Proteins, as well as all foreign substances, in order to be recognized by T-cell specific receptor (TcR) require a "processation" from antigen presenting cells (APC). Processation consists in an elaborate transformation of protein molecules, including denaturation and enzyme hydrolysis of native protein by potent APC lysosomal enzymes. Thus if protein molecules escape digestion, and reach APCs in a native form, should be first processed into small peptides of low molecular weight (MW) in order to be recognized by T cells . Activation of T cells is a key event in the induction of immune responses. T cells, unlike B cells directly recognizing soluble antigens, have a TcR that recognizes the bimolecular ligand formed by both the foreign antigen and self Ia antigen expressed on APC surface . Several studies have demonstrated that T cells recognize antigens only after their timely processation by APCs expressing HLA antigens. An immunogenic peptide should therefore possess two distinct features. It should be able to make contact with a TcR as well as to bind to an HLA molecule . These two features include the epitope, that is the portion making contact with T cells, whereas the agretope is the HLA contact site. Both epitope and agretope are composed of two to three amino acid residues scattered in the primary sequence of protein molecule . An a-helical conformation appears to be the type of secondary structure usually recognized by T cells. The amino acid residues that during enzyme hydrolysis make contact with T cells or with HLA, segregate to a-helix opposite sites, thus forming the epitope and agretope, respectively. Following processation, native proteins acquire the conformational freedom to form a secondary structure which will allow the formation of both epitope and agretope. - In the first type, the peptide chain in its native state has enough conformational freedom to allow the segregation of epitopes and agretopes. - In the second type, the polypeptide chain needs to be unfolded to allow the segregation of amino acid residues forming both epitope and agretope. - In the third type, processation requires proteolytic cleavage to supply the conformational flexibility the correct HLA and T-cell contact structures . In conclusion, enzyme hydrolysis employed for CM-based HF preparation, cannot destroy all epitopes, as we have alluded to previously. After all treatments the peptides are still immunogenic and allergenic, therefore HFs in addition are allergenic due to crossreactivity, and immunogenic because they are still able to stimulate IgE synthesis. Double-blind, placebo-controlled food challenges (DBPCFC) should be used to demonstrate that HFs are effective in the management of allergic children . Care should be taken when HFs are given for prolonged periods since no data is available on the nutritional assessment of infants fed exclusively HFs for several months. Studies done in neonates fed a partly whey HF during different periods of days, have shown significant abnormalities in plasma concentration of several essential amino acids compared to neonates fed BM [29-31]. There is nothing surprising about these results, since CM-based HFs are generally casein- or whey protein-based, thus implying an unbalance in serum composition of varying amino acids. To prevent a such derangement, HFs should contain an adequate proportion of whey proteins and casein, which should be of 60% and 40%, respectively. Recently a partly HF containing 50% of whey proteins and 50% of casein has been marketed which appears to be more adequate, complying with the protein distribution of special formulas. We shall discuss the distribution of different nutrients in such formulas. Some HFs have a high protein content. Alfarè (extensively whey HF) contains 2,8 g/dl of proteins. Nutramigen (extensively casein HF) contains 1,9 g/dl of proteins, whereas BM contains only 0,67 g/dl of proteins important from the nutritional point of view. Additional BM proteins, such as lactoferrin, lysozyme, and IgA antibodies are not absorbed and thus are not critical for nutrition, but are fundamental protective factors. It is therefore clear that the high protein load peculiar to some HFs is decidedly not physiologic, subjecting HF-fed babies to a considerable metabolic load. There is no reason, at the current state of knowledge, to maintain so high protein concentrations in these HFs. It is desirable that in the future the manufacturing industries reduce HF protein concentrations, so restoring acceptable levels. The fat composition of protein HFs (Nutramigen, Pregestimil, Alfaré) is totally different from that of BM. In fact, in order to improve fat absorption, medium chain fatty acids (MCFA), have been added to protein HF in a 40% proportion. Trial of MCT (Medium chain triglycerides) in animals and in humans have shown that MCFA require no re-esterification or chylomicron formation and move directly from gastric and intestinal mucosal cells. MCFA are complexed with albumin and proceed directly via the portal vein and are metabolized in the liver, thus providing a theoretically attractive energy source for use in the nutritional management of different situations with fat malabsorption. BM contains a small amount of MCT which reaches approximately 10% in the milk from mothers of preterm infants. In the light of recent studies, the role of MCT in infant formulas is questionable. It has been shown that formulas containing 40% MCT seem to overload the capacity of the infant liver to completely metabolize MCFA. Therefore MCTs leak into bloodstream. In addition significant differences in the fatty acids composition of plasma phospholipids were found between MCT formula- and BMfed infants, namely a higher concentration of linoleic acid and decreased levels of linolenic, arachidonic and docasaheaenoic acid . These data seem to suggest that a competition of MCT and essential fatty acids (EFA) for the same chain elongating enzyme system is operating. In addition, low-birth-weight infants fed a formula containing 40% or 8O% MCT, showed no significant growth difference in comparison with the control group; moreover, intestinal symptoms were encountered more frequently in infants fed MCT formulas than in the controls. It follows that the nutritional advantage provided by MCT remains uncertain, since energy is expended for the MCFA chain elongation which leads to long-chain saturated fatty acids. We would like to stress that babies with CMA do not have fat malabsorption. Therefore they do not benefit from MCT formulas [32,33]. Very frequently, marketing interests overcome scientific interests. In other words, companies like to kill "two birds with one stone". According to manufacturers, protein HFs should be given to babies with various diseases, such as CMA, gastroenteritis, fat malabsorption, biliary atresia, cystic fibrosis, etc, but in just a few of these MCT may be useful (biliary atresia, cystic fibrosis, etc.,). Another problem with the employment of MCT formulas in allergic children is cast from studies showing that an EFA defect including arachidonic and diomo-g-linolenic acids is associated with the atopic state [34-39]. It has been hypothesized that such a defect is due to a functional deficit of enzymes providing to linoleic acid elongation [34,38,39]. Patients with atopic dermatitis (AD) and serum deficit of arachidonic and diomo-glinolenic acids have shown significant clinical improvements and contemporaneous normalization of serum levels of both EFAs after giving diomo-g-linoleic acid supplements [36,37]. We conclude that whey HFs should not be used in infants with IgEmediated CMA. Highly casein HFs appear to be safer than whey HFs. Further trials are needed to study the nutritional adequacy of HFs in babies exclusively given such formulas for many months. All the available HFs for feeding babies with CMA, are totally free of lactose. This sounds a nonsense. The carbohydrate content in BM is around 7 g/dl, 90% being lactose. Lactose is hydrolysed mainly by the brush border lactase and is absorbed as glucose and galactose. Although lactase activity is almost completely mature soon after birth, a certain part of the lactose escapes and is fermented by colonic bacteria into lactic acid and low MW fatty acids. Therefore, lactose is an important factor contributing to the low pH of the stools of breast-fed infants, which together with the low buffering capacity owing to the low protein and low phosphate content of BM is considered to be partly responsible for suppressing the growth of E coli in the intestine of breastfed infants. Another beneficial effect of lactose, seems to be the enhancement of calcium absorption. Lactose also promotes absorption of magnesium, strontium, barium, radium, manganese, cobalt, zinc, lead, and iron. In addition, to enhance the calcium absorption lactose plays another important nutritional role providing a source of galactose. Galactose is a major nutrient in the normal newborn infant only the sea-lion and marsupials whose first pouch milk is a trisaccharide of galactose, are known to have milk sugars other than galactose. Carbon derived from galactose may enter many pathways [32,33]. All these facts strongly indicate that lactose has an invaluable nutritional value, therefore according to ESPGAN , lactose should constitute all or most of the total carbohydrate in infant formulas. Since at least in developed countries, at present, there are only a limited number of infants with CMA and secondary lactase deficiency, there is no reason to continue producing SPFs or protein HFs (Pregestimil, Nutramigen, Alfa-Rè) which are totally lactose- free. These formulas were useful, in the past when chronic diarrhea, associated with secondary lactase deficiency, was very common. In support of the usefulness of lactose-SPF, are the results of an elegant study , showing that infants, under six months of age, affected with chronic diarrhea, secondary to acute gastroenteritis, and with multiple protein intolerances, including soy proteins, tolerate a SPF containing lactose much better than the classical lactose-free SPF. In addition, we would like to emphasise that infants with CMA frequently show AD, urticaria, rhinitis, asthma, angioedema, shock without any intestinal involvement and therefore without any lactase deficiency. All these data strongly indicate that lactose has an invaluable nutritional value, therefore according to ESPGAN , lactose should constitute all or most of the total carbohydrate in infant formulas. Palatability and cost are two important characteristics to obtain a good compliance, and with an adequate nutritional value appropriate to the infant's age, especially when children aged more than six months are considered and when the special formula must be prescribed for several months. The rather high osmolarity (Nutramigen), unpalatability, and high cost of CM protein HFs limit their use. For these reasons they might be used only when SPFs or Rezza's diet are not effective [42,43]. In addition to an unpleasant taste, extensively HFs have a high cost, thereby their use, especially if it is protracted, represents a not negligible financial burden. We want to point out that HF employment, in neonatal age, raises some perplexities of biologic character. There is no doubt that HFs are made of predigested protein and therefore are very less physiological. Nothing is known about whether a so unnatural alimentation could induce negative effects on gut development and on mucosal immune defense. During millenia human neonates have been fed intact proteins. Recent data  seem to indicate that HF administration, in the neonatal age, is not devoid of potentially undesirable effects. It has been shown that feeding healthy neonates during the first three days of life an extensively (eHF) casein HF resulted in a delayed gut closure. At three months of age the serum a-lactalbumin concentration was significantly higher in the casein HF-fed infants compared to controls fed either BM or a CM formula . These data, albeit preliminary, should call to foresight about the use of such products in neonatal age. In conclusion, from the data available at present, it can be concluded that CM protein HFs especially the partially HF (pHFs) should be never employed in children with IgE-mediated CMA, but casein eHFs might be administered to babies with CM intolerance [45,46]. Since SPFs do not crossreact with CM proteins, should be considered as formulas of first choice in children with IgE-mediated allergic manifestations (Table 2). Home-made, meat-based formulas (Rezza's diet), similarly to SPFs, show no crossreactivity and can be employed with success. The pleasant taste and the low cost are added advantages of these formulas compared to HFs. Table 2: Properties of Soy-Protein-Formulas. We report in Table 2 the main properties of SPFs: It is worth recalling that since 1929 SPFs have been widely used for feeding babies and young children with CMA. With the passing of years SPFs have been more and more improved, therefore their nutritional adequacy is comparable to that of CM formulas . Furthermore SPFs, even if administered exclusively for several months, allowed a satisfactory growth rate and failed to induce immunologic abnormalities, as demonstrated by a study done by us in a wide group of infants, fed a SPF during the first 6 months of life . SPFs are recommended for feeding babies with CMA, lactose or galactose intolerance and in the management of infants with severe gastroenteritis and babies at risk of atopy, and to prevent the atopic march . The use of SPFs for the prevention of atopy in genetically prone neonates is rather controversial. Some studies have shown that SPFs significantly reduced the prevalence of atopic disease in high risk babies, or failed to confirm our results [47,49,50], while a zero prevalence was found in 63 children . However, in 12 studies comparing SPF(s) with CM feeding only 16, 6% randomized studies had statistically significant results . Strangely enough, in a recent study a very high prevalence of soy positivity was found in two groups of children: 19, 3% and 7, 1%, respectively . In agreement with other authors, over the last decade we have investigated the possibility of prevention either of AD in children with CMA, or of atopic disease in high-risk babies. In a prospective multicenter study as yet 2270 babies with at least one atopic parent or brother were enrolled in a prospective study including all the usual dietary and environmental measures, including BM and/or SPF feeding for at least six months and selected weaning after the 6th month We evaluated 732 babies at the last followup. The lower prevalence of atopic disease in the infants who followed the preventive measures (77/593=13%) and the higher (48/139=34.5%) in those who did not (p=0.0001) stress that such manipulations for the prevention of atopy in "at risk" babies are worthwhile . Abbreviations: DBFC: Double-blind food challenge; DBPCFC: Double-blind placebo-controlled food challenge; M: median; NS: Not specified; OFC: Oral food challenge. Table 3: Results of studies employing challenge test to soy. Table 4: Results of SPTs and DBPCFCs in 160 children. Reactions to soy are surely more common in children with gastrointestinal CMA: In Table 5 [51,63-73] dealing with very selected populations of children, only 7-18 in three studies [65,66,73] the vary considerably, from 0 to 42,9% (mean 11.9%). In three studies the results totalled zero, and the diagnosis was done with DBPCFC, and in another there was a 14% incidence, but the DBPCFC was done only in 47% of children . Considering the three .DBPCFC studies done in the whole cohort of children, the incidence of soy-induced reactions falls dramatically to 4,6%! However, in children with AD, and/or urticaria and asthma the presence of a soy intolerance is uncommon, and in a study only one child out of 22 had RAST positive to soy . This data was confirmed in children with AD and subjected to DBPCFC using soy versus placebo . Abbreviations: C: Clinical; D: Diagnosis; FC: Food challenge; L: Laboratory; M: Median; NS: Not specified; OFC: Open food challenge. Table 5: Results of studies evaluating the prevalence of soy intolerance in very selected populations of children with gastrointestinal CMA. Recently, a great concern has arisen relative to the likelihood that some SPFs might contain genetically modified organisms (GMO), however Milupa and Abbott have certified that their SPFs contain no GMO, and parents should check whether on the labels of similar products is clearly shown NO GMO. HFs are obtained by changing the primary structure or the conformation of CM proteins by enzyme hydrolysis and heat treatment. According to the protein source, there are four types of HFs: casein HFs (Alimentum, Nutramigen, Pregestimil), whey HFs (Alfa-Rè, Prophylac/Hypolac, Pepti-Junior, Nutrilon Pepti, Nutrilon Pepti plus, Beba HA/Good Start, Nidina HA=hypoallergenic), soy + pig collagen HF (Pregomin), and a whey 50% and casein 50% partially (pHF) (Aptamil HA). Depending on the degree of hydrolysis HFs can be extensively (eHF) or pHFs hydrolyzed. HFs have a substantial amount of peptides with MW (molecular weight) higher than 5 kD, and even higher than 15 kD [74,75] carbohydrates, and a mixture of vegetable oils . Some HFs (Alfa-Rè, Alimentum, Pregestimil) contain in addition MCTs. They are integrated with vitamins and contain only small amounts of L-carnitine.. Similarly to SPFs, HFs are also devoid of lactose. HFs are nutritionally adequate and infants generally gain weight, however as pointed out above, recent studies have shown an unbalance in essential amino acids in babies fed a whey pHF [29-31]. Owing to their scarce palatability (excepted HA), they are refused because of the bad taste, and are expensive. HFs are recommended for feeding infants with chronic diarrhea, malabsorption syndromes and/or CMA. However HFs, as we first have demonstrated , have epitopes recognized by IgE antibodies-anti-CM proteins . Thereby HFs should not be used with foresight or even avoided in babies with IgE-mediated CMA due to possible crossreactivities, and severe allergic reactions [3-13], when babies with CMA are fed HFs [2,7,13,17,76,77]. The analysis of some HFs by an ELISA technique, have unexpectedly shown that a whey pHF contains a large amount of casein, which is absent in two casein formulas . What can appear as a paradox can be easily explained reminding that with the precipitation technique to separate whey proteins from casein, a certain amount of casein remains in the serum fraction, also because some caseins have a lower MW. Progressive hydrolysis, subsequently employed to reduce the MW of whey proteins, probably cannot completely degrade casein. Undoubtedly the residual allergenicity, and contamination with casein or with intact CM proteins, such as ßLG, both crucial for HF hypoallergenicity, are dependent of the food-processing technologies applied, often a well-kept secret of the manufactures . Recently the Food and Drug Administration (FDA) has issued very strict norms in order that a formula can be defined as HA: the hydrolyzed peptides should have a MW <5000 D, the HF should not be contaminated with intact CM proteins (casein), and should be able to yield a negative DBPCFC result in at least 20 children with documented IgE-mediated CMA . This summarizes the properties of HFs and SPFs. SPFs are antigenic and can be allergenic, but do not crossreact with IgE antibodies to CM proteins. HFs can be more or less immunogenic and allergenic but do crossreact with IgE antibodies to CM proteins . In children with CMA, considering the cases referred to in the literature, HFs have elicited 217 reactions, many of which IgEmediated, to casein HFs and to whey HFs (either eHFs or pHFs) . All in all, 115 to casein HFs (1 case of shock, 3 of anaphylaxis, 5 of generalized urticaria, 1 apparent life-threatening event) (+ 2 localized) and 102 to whey HFs (either eHF or pHF) (1 case of shock, 3 of anaphylaxis, 13 systemic reactions, 2 apparent life-threatening events), in addition to the infant who experienced acute anaphylaxis after assuming a casein and WHF, the unspecified number of significant allergic reactions to Good Start [17,76,77]. During several years 16 studies tried to prevent the atopic march. The 36-74% prevalence of allergic disorders especially in the control children seems to be an unexpected characteristic, as well as the 4-35% prevalence of CMA found in the HF-fed babies [76,77]. In addition, 4/5 infants who developed atopic symptoms while on pHF had a positive SPT to CM proteins, against 2/25 SPF-fed  (a 72% decrease) (Fisher 0.0026), thus suggesting that sensitization to CM proteins in infants receiving this HF is exceptionally more frequent than in those fed a SPF. Some considerations of biologic order on HF employment in neonates suggest that during millenia the mucosal immune system of neonates was accustomed to recognize intact food proteins and as a consequence to produce secretory IgA antibodies (sIgA). The latter actively contributes to the exclusion of orally administered antigens, thus constituting a cardinal defense system. Studies done on the animal model stressed that HF are scarcely antigenic and therefore fail to activate antibody responses against CM proteins [11,42,80]. We are somewhat perplexed about the possible negative effects that HF drinking could yield to the local immune system of newborns. Also the gastrointestinal tract of newborns during millenia has received intact milk proteins and it is known that from food given to neonates stems the release of gut hormones, which apparently promote gut development [81,82]. We fear that feeding HFs in the first days/months of life might influence the elaborate system of defense mechanisms. The study by Jakobsson , previously reported, stresses that the early maturation of the gut (closure) can be disrupted by feeding HFs, in neonatal age. From the data available at present it can be concluded that the most physiologically appropriate food should contain whole proteins, and not hydrolysates . As a CM substitute, a home-made, meat-based formula can be used in children with CMA. In 1973 professor Rezza got a successful lamb-based formula ready for the treatment of "infant intractable diarrhea". The formula consists of fresh or frozen lean lamb's meat (free from fat and tendons), cut into small pieces, boiled and minced, then mixed with the other diet components (Table 6). This formula is nutritionally adequate, provides 740 calories/l, has a pleasant taste, and a low cost. Lamb's meat can be substituted with chicken, or rabbit meat, whereas bovine meat should be avoided since it can have antigens crossreacting with CM proteins. In addition, bovine serum albumin is shared by both CM and bovine meat, another cause of allergic sensitization. Rezza's diet has been used with varying degrees of success in the treatment of children with different manifestations of CMA (chronic diarrhea, AD, asthma, etc., . Table 6: Composition of Rezza's Diet (per liter). Rezza's diet is well accepted from children and their parents. An important characteristic is the adaptability to the individual needs of the single patient, increasing or decreasing its constituent, or introducing other foods. The formula is a useful oligoantigenic diet for the diagnosis of FA and allows the introduction of added food nutrients. It is surely available for babies with CMA or with chronic diarrhea of varying nature or with egg or wheat allergy, providing that chicken and alike meats are not given to eggallergic children. Once the clinical improvement is obtained, different foods can be gradually added. Well known are the properties of Rezza's diet . One final word about the hypoallergenicity of lamb meat. We have never read a paper reporting a case of lamb meat allergy. If the allergenicity of a given protein is related not only to its molecular weight, but also to the sequences of the amino acids, we deem that the amino acid sequences in lamb meat are not suitable to form reactive epitopes. Goat's milk is not a suitable CM substitute, even if it is nowadays commonly sold even in supermarkets, because it contains a high percentage of proteins crossreacting with CM proteins, in up to 100% of CMA children . Generally, mare milk proteins have not epitopes in common with CM proteins, hence it could be evaluated with prudence in CMA children . CM can induce a whole spectrum of allergic manifestations in infants and young children, ranging from trivial and transient, to frustrating, chronic, and severe, to sometimes life-threatening or even fatal in rare cases. CM substitutes, both for CMA prevention and treatment, should be completely free of immunogenic and allergenic CM reactive epitopes, and tested in vivo, so that only products that are well tolerated by at least 90% infants (95& interval confidence), using OFC (open food challenge) or DBPCFC should be labelled as HA . In the last years, the efforts of companies manufacturing formulas have led to the development and availability of special formulas which have dramatically reduced the morbidity and mortality of infants with CMA. However, these formulas are far from being ideal both for the nutritional adequacy and hypollergenicity. Therefore, companies should cooperate with investigators in order to develop as fast as possible an ideal formula for the prevention and management of CMA. We would like to stress, according to the latin widsom on the portal of our Clinic, "in puero homo", which means "in the infant is the seed of the future man", that our goal is not only to reduce morbidity and mortality, but mainly to ensure the best quality of life both to infants and adults. Cantani A, Ragno V, Businco L (1992) Natural history of IgE mediated food al¬lergy in fully breast-fed babies: report of twenty-one cases. Pediatr Allergy Immunol 2: 131-134. Businco L, Cantani A, Longhi MA (1989) Anaphylactic reactions to a cow's milk whey protein hydrolysate (Alfa-Ré, Nestlé) in infants with cow's milk al¬lergy. Ann Allergy 62: 333-335. Sawatzki G. (1992) Protein hydrolysates used in hypoantigenic and hypoallerg¬en¬ic infant for¬mulas. In Businco L, Oehling A, Renner B, Moràn J, eds. Food allergy in infancy. Madrid: Editorial Garsi 229-238. Heyman MB, Stoker TW, Rudolph CD, Frick OL (1990) Hypersensitivity reaction in an infant fed hydrolyzed lactalbumin contained in a semielemental for¬mula. J Pediatr Gastroenterol Nutr 10: 253-256. Businco L, Cantani A (1990) hypoallergenic formulae. Allergy Today 3: 9-11. Ellis MH, Short JA, Heiner DC (1991) Anaphylaxis after ingestion of a recently in¬tro¬duced hydrolyzed whey protein formula. J Pediatr 118: 74-77. Saylor JD, Bahna SL (1991) Anaphylaxis to casein hydrolysate formula. J Pediatr 118: 71-74. Cantani A, Businco L (1991) Whey protein hydrolysate formula for infants with gastrointestinal intolerance to cow milk and soy protein in infant formula. J Pediatr Gastroenterol Nutr 13: 315-316. Lorenz F, Seid M, Tangermann R (1988) Detection of casein antigen in regu¬lar and hypoallergenic formula proteins by ELISA: Characterization of for¬mula protein fractions according to their molecular weights. Nestlé Nutr Workshop Ser 17: 215-220. Bauer CP (1989) The binding capacity of IgE to hypoallergenic nutrients. In Harms HK, Wahn U, eds, Food allergy in infancy and childhood. Berlin: Springer-Verlag 167-172. Strobel S, Fairclough LM (1989) Whole cow's milk versus hydrolysed infant formu¬lae: Analysis of systemic immune responses and antigenic cross-re¬ac¬tivities. In Harms HK, Wahn U, eds, Food allergy in infancy and childhood. Berlin: Springer-Verlag 158-165. Lau S, Wahn U (1989) How allergenic are "hypoallergenic" formulas? Food allergy in infancy and childhood. Berlin: Springer-Verlag 173-176. Amonette MS, Schwartz RH, Mattson L, Peers LB, Eldredge DM (1991) Double-blind, placebo-controlled food challenges (DBPCFC) demonstrating acute IgE-mediated allergic reactions to Good Start, Ultrafiltered Good Start, Alfaré, Nutramigen, and Alimentum in a seven-year-old. Pediatr Asthma Allergy Immunol 5: 245-251. Aas K (1992) Chemistry of food allergens. In Food allergy in infancy. Madrid: Editorial Garsi 9-20. Leary HL Jr. (1992) Nonclinical testing of formulas containing hydrolyzed milk protein. J Pe¬diatr 121: S42-S46. Lee Y-H (1992) Food-processing approaches to altering allergenic potential of milk-based for¬mula. J Pediatr 121: 47-50. Cantani A, Micera M (2001) Immunogenicity of hydrolysate formulas in chil¬dren (part 2) forty-one case-reports. J Investig Allergol Clin Immunol 11: 21-26. Sampson HA, Bernhisel-Broadbent J, Yang AND, Scanlon SM (1991) Safety of ca¬sein hy¬drolysate formula in children with cow milk allergy. J Pediatr 118: 520-525. Van Beresteijn, Meijer RJG, Schmidt DG (1995) Residual antigenicity of hy¬p¬oal¬lergenic infant formulas and the occurrence of milk-specific IgE antib¬od¬ies in patients with clinical allergy. J Allergy Clin Immunol 96: 365-374. Glaser J (1944) The use of strained meats as the protein basis for milk substi¬tutes in the treatment of milk allergy. J Allergy 15: 283-290.
de Boissieu D, Matarazzo P, Dupont C (1997) Allergy to extensively hy¬drolyzed cow milk proteins in infants: Identification and treatment with an amino acid-based formula. J Pediatr 131: 744-747. Vanderhoof JA, Murray ND, Kaufman SS (1997) Intolerance to pro¬tein hy¬drolysate infant formulas: An underrecognized cause of gas¬trointesti¬nal symptoms. J Pediatr 131: 741-744. Mäkinen-Kiljunen S, Sorva R (1993) Bovine ß-lactoglobulin levels in hydrol¬ysed protein formulas for infant feeding. Clin Exp Allergy 23: 287-291. Haddad ZH, Kabra V, Verma S (1979) IgE antibodies to peptic and peptic-tryp¬tic di¬gest of beta¬lactoglobulin: Significance in food hypersensitivity. Ann Al¬lergy 42: 368-371. Lehnert PJ, Cresswell P (1996) Processing and delivery of peptides presented by MHC class I molecules. Curr Opin Immunol 8: 59-67. Robey E, Allison JP (1995) T-cell activation: integration of signals from the anti¬gen receptor and costimulatory molecules. Immunol Today 16: 306-310. Robinson DM, Nepom GT (1993) The human major histocompatibility complex and disease susceptibility. Immunol Allergy Clin North Am 13: 255-272. Allen PM (1987) Antigen processing at the molecular level. Immunol Today 8: 270-273. Rigo J, Salle BL, Cavero, Richard P, Putet G et, al. (1994) Plasma amino acid and protein concentra¬tions in in¬fants fed human milk or a whey protein hy¬drolysate formu¬la dur¬ing the first month of life. Acta Paediatr 82: 127-131. Rigo J, Verloes A, Senterre J. Plasma (1989) amino acid concentrations in term in¬fants fed hu¬man milk, a whey-predominant formula, or a whey hydroly¬sa¬te formu¬la. J Pediatr 115: 752-755. Rigo J, Salle BL, Picaud JC, Putet G, Senterre J (1995) Nutritional evaluation of pro¬tein hy¬drolysate formulas. Eur J Clin Nutr 49: 26-38. Businco L, Rubaltelli F (1989) Management and prevention of cow's milk aller¬gy in infants. Wyeth-Ayerst Nutr Semin Ser 1: 41-64. Businco L, Lucenti P, Cantani A (1992) The appropriate choice of a formula for feeding babies with cow's milk allergy. Food Allergy in Infancy. Madrid: Edi¬torial Garsi SA 285-292. Manku MS, Horrobin DF, Morse NL, Wright S, Burton JL (1984) Essential fatty acids in patients with atopic eczema. Br J Dermatol 110: 643-648. Wright S (1991) Essential fatty acids and atopic dermatitis. Pediatr Allergy Im¬munol 2: 23-30. Lovell CR, Burton JL, Horrobin DF (1981) Treatment of atopic eczema with evening primrose oil. Lancet 278-281. Wright S, Burton JL (1982) Oral evening primrose seed oil improves atopic ec¬zema. Lancet 1120-1122. Juhlin L (1992) Long fatty acids and atopic dermatitis. Nestlé Nutr Workshop Ser 28: 211-218. Berth-Jones J, Graham-Brown RAC. (1993) Placebo-controlled trial of essential fatty acid sup¬plementation in atopic der¬matitis. Lancet 341: 1557-1560. ESPGAN Committee on Nutrition. I (1977) Recommendations for the composi¬tion of an adapted formula. Acta Pædiatr Scand suppl 262: 1-20. Donovan GK, Torres-Pinedo R. (1987) Chronic diarrhea and soy formulas. In¬hibi¬tion of diarrhea by lac¬tose. AJDC 141: 1069-1071. Pahud J-J, Schwarz K. (1984) Research and development of infant formulae with re¬duced al¬ler¬genic properties. Ann Allergy 53: 609-614. Cogan U, Moshe M, Mokady S (1981) Debittering and nutritional upgrading of enzymatic casein hydrolysate. J Sci Food Agric 23: 459-466. Jakobsson I (1993) Intestinal permeability in children of different ages and with different gastrointestinal diseases. Pediatr Allergy Immu¬nol 4: 33-39. AMA Committee on Nutrition (1989) Hypoallergenic infant formulas. Pediatrics 83: 1068-1069. Lucenti P, Cantani A (1991) Diagnosis and treatment of food allergy. Eur Rev Med Phar¬ma¬col Sci 13: 99-103. Cantani A, Lucenti P (1997) Natural history of soy antigenicity and or aller¬genici¬ty in children, and the clinical use of soy-protein formulas. Pediatr Al¬lergy Immunol 8: 59-74. Businco L, Cantani A, Bruno G (1987) Results of dietary and environmental mea¬sures for the prevention of atopy in"at risk" babies. In Chandra RK (ed) Food Allergy. St John's: Nutrition Research Educa¬tion Foundation 361-372. Chandra RK, Singh G, Shridhara B (1989) Effect of feeding whey hydrolysate, soy and conventional cow's milk formulas on incidence of atopic disease in high risk infants. Ann Allergy 63: 102-106. Kjellman N-IM, Johansson SGO (1979) Soy versus cow's milk in infants with bi¬p¬a¬rental history of atopic disease: development of atopic disease and immu¬n¬og¬lobulins from birth to 4 years of age. Clin Allergy 9: 347-358. Eigenmann PA, Sicherer SH, Borkowski TA, Cohen BA, Sampson HA (1998) Prevalence of IgE-mediated food allergy among children with atopic der¬ma¬ti¬tis. Pediatrics 101: 8. Bruno G, Giampietro PG, Del Guercio MJ (1997) Soy allergy is not common in atopic children: a multicenter study. Pediatr Allergy Immunol 8: 190-193. Cantani A, Arcese G, Lucenti P (1994) Results of a multi¬cen¬ter study on the prevention of atopy in "at risk" babies. A 36-month-follow-up. Pediatr Res 35: 10. Sampson HA (1988) The role of food hypersensitivity and mediator release in atopic dermatitis J Allergy Clin Immunol 81: 635-645. Giampietro PG, Ragno V, Daniele S, Cantani A, Ferrara M (1992) hyper¬sen¬sitivity in children with food allergy. Ann Allergy 69: 143-146. Bock SA, Sampson HA, Atkins FM (1988) Double-blind, pla¬ce¬bo-con¬trolled food challenge (DBPCFC) as an office proce¬dure: a manual. J Allergy Clin Im¬munol 82:986-997. Bock SA (1996) Food challenges in the diagnosis of food hypersensitivity. Nestlé Nutr Workshop Ser 34: 105-117. Kivity S, Dunner K, Marian Y (1994) The pattern of food hypersensi¬tivity in pa¬tients with onset af¬ter 10 years of age. Clin Exp Allergy 24: 19-22. Magnolfi C, Zani G, Lacava L, Patria MF, Bardare M. Soy (1996) allergy in atopic children. Ann Al¬lergy Asthma Immunol 77: 197-201. Burks AW, James JM, Hiegel A, Wilson G, Wheeler JG, et al. 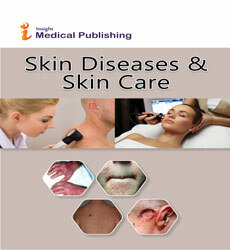 (1998) Atopic derma¬ti¬tis and food hypersensitivity reactions. J Pediatr 132: 132-136. Bellioni B, Paganelli R, Lucenti P, Giampietro PG, Perborn H (1999) Allergenicity of goat's milk in children with cow's milk allergy. J Allergy Clin Immunol 103: 1191-1194. Businco L, Giampietro PG, Lucenti P (2000) Allergenicity of mare’s milk in children with cow’s milk allergy. J Allergy Clin Immunol 105:1031-1054. Perkkiö M, Savilahti E, Kuitunen P (1981) Morphometric and immunohis¬to¬chem¬i¬cal study of jeju¬nal biopsies from children with intestinal soy al¬lergy. Eur J Pediatr 137: 63-69. Kuitunen P, Visakorpi JK, Savilahti E, Pelkonen P (1975) Malabsorption syn¬drome with CM in¬to¬ler¬ance. Clinical findings and course in 54 cases. Arch Dis Child 50: 351-356. Powell GK (1978) Milk and soy-induced enterocolitis of infancy: clinical fea¬tures and standardiza¬tion of challenge. J Pediatr 93: 553-560. Halpin TC, Byrne WJ, Ament ME (1977) Colitis, persistent diarrhea, and soy pro¬tein in¬tolerance. J Pe¬diatr 91: 404-407. Délèze G, Nusslé D (1975) L'intolérance aux protéines du lait de vache chez l'enfant. Helv Paediatr Acta 30: 135-149. Navarro J, Omanga U, Mougenot JF (1975) L'intolérance digestive aux protéines du lait de vache chez le nour¬risson. Arch Fr Pédiatr 32: 773-786. Burks AW, Casteel HB, Fiedorek SC, Williams LW, Pumphrey CL (1994) Prospec¬tive oral food challenge stu¬d¬y of two soybean isolates in patients with pos¬si¬ble milk or soy ente¬rocoli¬tis. Pediatr Allergy Im¬munol 5: 40-45. Sampson HA, Zeiger RS, Bock SA, Burks AW (1997) Prevalence of soy allergy in young children with cow milk allergy. J Allergy Clin Immunol 99: 491. Ragno V, Giampietro PG, Bruno G, Businco L (1993) Allergenicity of milk protein hydrolysate formulae in children with cow's milk allergy. Eur J Pediatr 152: 760-762. Zeiger RS, Sampson HA, Bock SA (1999) Soy allergy in infants and chil¬dren with IgE-associated cow's milk allergy. J Pediatr 134: 614-622. Levy Y, Kornbrot B, Danon YL (1998) Soybean allergy in cow-milk-tolerant infants. Pediatr Asthma Allergy Immunol 12: 253-258. Restani P, Plebani A, Velonà T (1996) Use of immunoblotting and mon¬o¬clonal antibod¬ies to evaluate the residual antigenic activity of milk pro¬tein hydrolysed formulae. Clin Exp Al¬lergy 26: 1182-1187. Plebani A, Restani P, Naselli A (1997) Monoclonal and polyclonal antibod¬ies against ca¬sein components of cow milk for residual antigenic activity in "hypoallergenic" infant formulas. Clin Exp Allergy 27: 949-956. Cantani A, Micera M (2000) Immunogenicity of hydrolysate formulas in chil¬dren (part 1) review of 202 reactions. J Investig Allergol Clin Immunol 10: 261-276. Kleinman RE, Bahna S, Powell GF, Sampson HA (1991) Use of infant formulas in in¬fants with cows milk allergy. Pediatr Allergy Immunol 4: 146-155. Chandra R, Hamed A (1991) Cumulative incidence of atopic disorders in high risk in¬fants fed whey hydrolysate, soy and conventional cow milk for¬mu¬las. Ann Allergy 67: 129-132. Granati B, Marioni L, Rubaltelli F (1985) Evaluation in guinea pigs of allergenic capacity of two infant formulae based on hydrolyzed milk proteins. Biol Neonate 48: 122-124. Revillard JP, Lafont S, Kaiserlian D (1988) Regulation of mucosal immunity: an overview with special em¬phasis on secretory IgA production and toler¬ance. Nestlé Nutr Workshop Ser 17: 35-50. Walker WA (1988) Transmucosal passage of antigens. Nestlé Nutr Workshop Ser 17: 15-34. Cantani A (1992) La dieta di carne preparata in casa e l'alimentazione del bam¬bi¬no al¬ler¬gico. Eur Rev Med Pharmacol Sci 14: 53-61.